Most people know that if you drive with a BAC (blood alcohol level) over the measurable limit of 0.8, chances are you will be arrested for DUI. If your BAC measures under 0.08, does that mean you won’t be arrested and charged? Not necessarily. Florida has some of the strictest drinking and driving laws in the US, and take any possible violation seriously. There are situations where you may register substantially lower than the standard 0.08 and still find yourself arrested. BAC is the measurement of the amount of alcohol circulating in your bloodstream, represented in terms of weight (milligrams) per unit of volume (milliliters). It’s usually shown as a percentage. The number 0.08 is the legal limit of alcohol in all 50 states and the District of Columbia. If your BAC registers at 0.12, you would be 1.5 times over the legal limit. The number is a legal standard, but that doesn’t mean you can drink until you get to that point. The effects of alcohol consumption vary with the individual as well as the type of drink consumed. A woman of 120 pounds may reach 0.08 after two drinks, but a 200-pound man may reach it after three or more. A “drink” is considered a single beer, a five-ounce glass of wine or a shot of liquor. Different libations may contain varying amounts of liquor in “just one drink.” Some craft wines or beers may have a higher percentage of alcohol than standard “house” offerings. Once consumed, alcohol travels directly to the brain, where it can immediately affect cognitive abilities. Even though 0.08 is the “legal” limit, impairment can begin within minutes of the first drink no matter what your BAC. Subsequent drinks will increase impairment. If a police officer suspects you of drinking under the influence, you may be asked to “blow,” or use a device that measures the amount of alcohol on your breath. You may also be asked to take field sobriety tests to determine your degree of impairment. Additionally, if you show any noticeable impairment even with a BAC under the legal limit, you can still be charged. For example, if the police suspect you are under the influence of drugs, painkillers, or prescription drugs, you can still be arrested for DUI. However, proving that impairment in court may be a little more difficult. An experienced DUI attorney will be able to help you through the court case and build a defense against the DUI charge. If you are charged with a DUI or questioned during the field sobriety test, please contact our law firm. 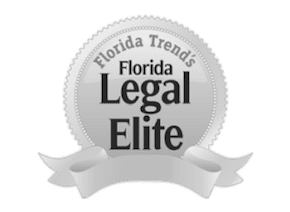 We have extensive experience representing residents and tourists who have been charged with DUI’s throughout Orlando and the rest of the Central Florida area. Our Orlando DUI lawyers have the experience necessary to provide you with the best representation for your case. Please call us today at 407-228-3838 or complete our online form.